USB Drives have made data movement across systems easy, but the same has also made data theft, virus propagations also prevention of virus via USB Drives is not looked into seriously by many.If you use your USB drive in a public place and want to protect private files from other seeing then you can create Password Protect Partitions on Your USB that will store your personal files and stop others from seeing it using Rohos Mini Drive. Rohos Mini Drive can create encrypted partitions upto 2GB and are only visible upon providing the password.In reality it creates a virtual partition in the USB drive where the sensitive data is securely stored using AES 256 / BlowFish Encryption and is not visible when you plug in your USB device but only visible by launching the Rohos mini.exe from the USB Drive. 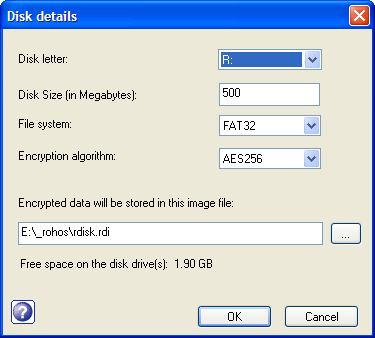 Creates a virtual encrypted partiton volume (disk) within a USB flash drive free space. Automatically detects your USB stick config and creates encrypted partition. Deletion of private folder also requires the password making it even secure. Download and Install Rohos Mini Drive. 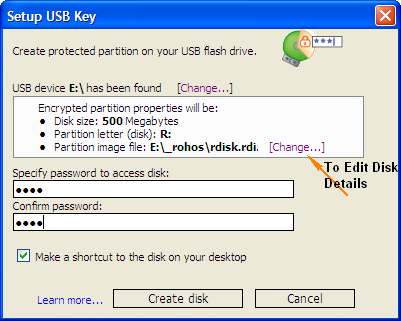 Start Rohos Mini Drive, Click “Setup USB Key” to create a password protected private partition. In the Rohos Mini Drive Application window you will notice Disconnect, Browse and Tools.Now copy files to your private partition and click disconnect after finishing copying. If you want to view your private folder in a guest system you can access it using the Rohos mini.exe that is placed in your USB Drives root when a new private partition is created.There’s also a Virtual Keyboard to defeat keyloggers for entering the password which can be accessed on launching the the shortcut from the USB Drive. You can also enlarge your Private Partition size under Tools.